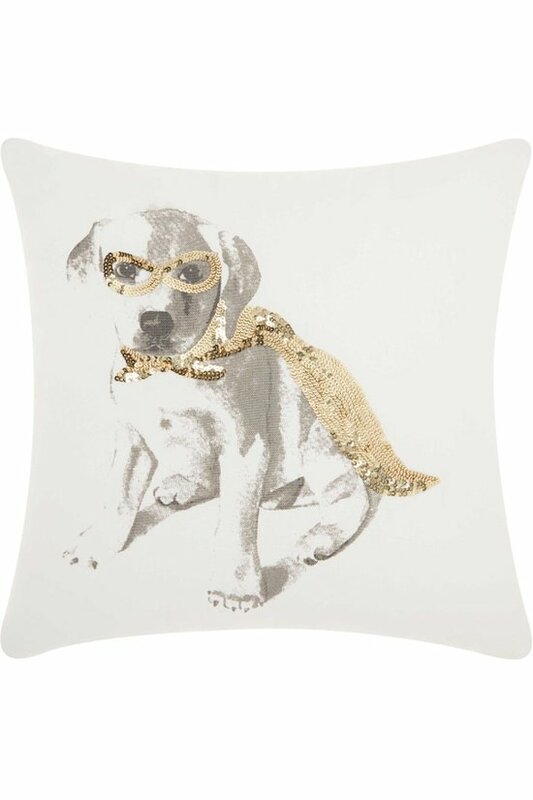 You really can't go wrong with an accent pillow adorned with a wildly-cute pet. So our merchant team tracked down these irresistible, woven-cotton pillows with utterly cool pics of our fave animals. Hand-sewn, golden-metallic sequins create their fun, eye-catching gear, making these unique pillows part pop art, part love. We can't help but say they're the pawfect gift for friends, family, and of course, yourself. Crafted by artisans in India.